This masterpiece of Genoese cuisine is a dish with a list of ingredients as long as the preparation time, and perhaps for this reason it only appears at Christmas time. black or green olives (as preferred). Prepare the salsa verde the day before you want to cook the capponmagro (making it slightly runnier than usual), so that it can rest in the fridge for 24 hours. Boil the cleaned fish in salted water, drain and remove the flesh from the bones, taking care to eliminate any small bones that may remain. Flavour with oil, salt and a little lemon juice and set aside. Whilst boiling the eggs, prepare the vegetables as follows: peel, wash and boil each of the vegetables separately in salted water until they’re al dente. Drain and cut into sliced or cubes, and season with oil, salt and a little vinegar. 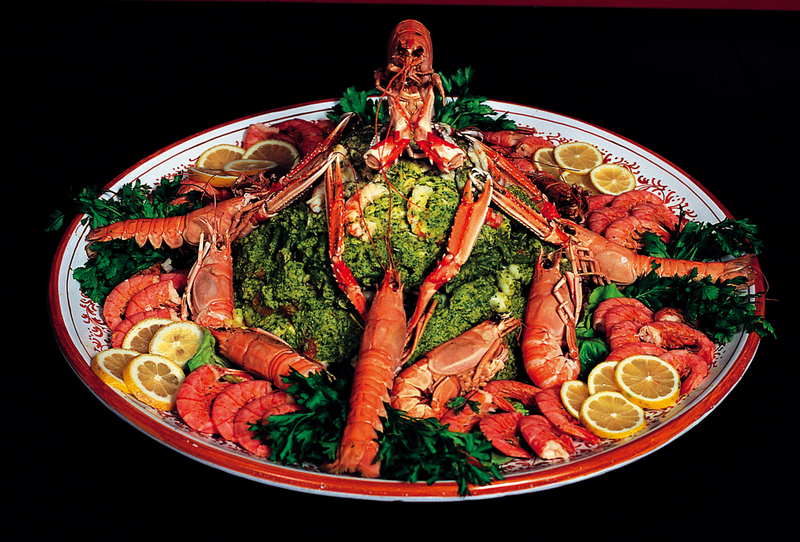 Put the vegetables aside and begin preparing the shellfish for the garnish, again separately. Drain and set aside. 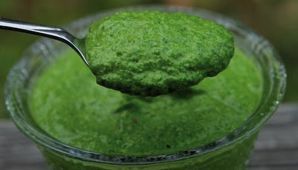 Now you have to create a sequence of layers alternated with salsa verde: lay the base with the dried biscuits soaked in water and vinegar with the fish laid on top. Try to lay the vegetables to that they are in some way colour-coded to add to the overall aesthetics of the dish. 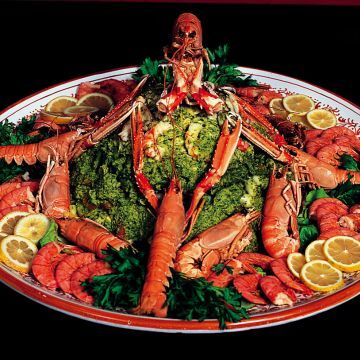 Once you’ve laid all the layers (be careful not to make it too high as it might tumble down) cover the last layer with salsa verde and garnish the dish as you wish, placing the lobster in the centre. Now put the dish in the fridge to rest until you’re ready to serve (at least 12 hours before). Take care not to over-boil the fish or vegetables, as they’ll lose their colour and they won’t be firm enough to support the other layers. Drain all the ingredients carefully, and don’t overdo it with the condiments. Custom forbids the use of mayonnaise or gelatine.